Camping World Holdings Inc (NYSE: CWH ) was hit with a sell-side downgrade and price target cut Tuesday as fears of the RV industry slowing is weighing on shares. Goldman Sachs analyst David Tamberrino downgraded the company from Buy to Neutral and lowered the price target from $28 to $15. While Camping World stock appears to have stabilized after dropping 64 percent over the last 12 months, Goldman Sachs no longer expects improvement in results year-over-year in 2019, Tamberrino said in the downgrade note. “This comes as we believe the RV cycle likely sees pressure to volumes going forward and as Gander Outdoors upside appears to be elusive,” the analyst said. After Camping World’s recent fourth-quarter earnings miss, Tamberrino said he no longer projects EBITDA growth in 2019 and sees a lack of upward catalysts to move shares higher over the medium-term. 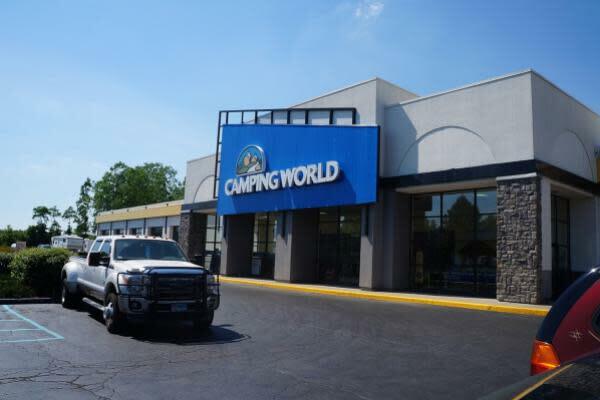 Camping World missed fourth-quarter earnings estimates by 44 cents per share on March 7, but sales managed to beat estimates by $7.37 million, coming in at $982.4 million. Since being added to Goldman Sachs America's Buy List on June 9, 2017, Camping World shares have decreased 54 percent. “We believe shares were an underperformer given the slow down in RV industry sales pace, gross margin compression from elevated inventory levels (and) lack of earnings accretion from its Gander Outdoors strategy." Camping World shares were down 4.27 percent at $12.88 at the time of publication Tuesday.